When should I get my child’s eyes examined? Some children will receive vision screening either in nursery or in primary one, however this does not check the health of their eyes so a comprehensive eye examination is strongly advised. Whilst the majority of children have good eyesight, it is still highly recommended that they visit an optometrist at least every two years from pre-school and this is essential if there is a family history of a squint or high glasses/contact lens prescription. We have the most advanced technology available on the market which gives us the best possible view of your child’s eyes allowing us to check for any problems which may not be obvious. When an issue is detected early, it can be managed and in many cases reversed. It is usually a fun experience for children and they enjoy all the technology and measurements, particularly having the chance to see inside their own eyes. 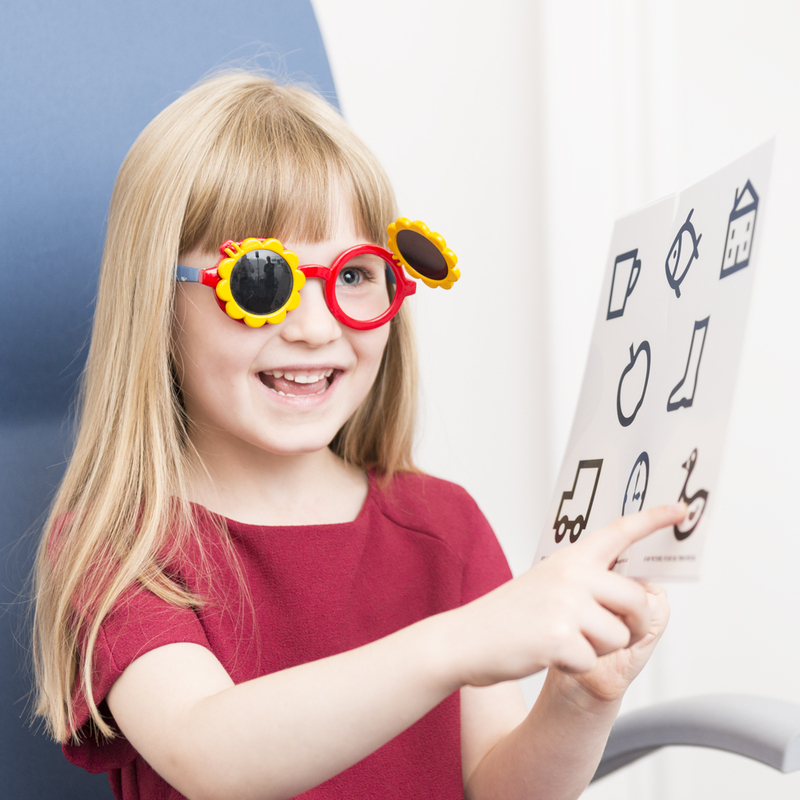 Our examinations are tailored to children using specialised equipment so they do not have to be able to read or talk to be able to perform an eye examination. All eye examinations at Cameron Optometry are performed by highly experienced optometrists. On our site (under Children – Eye Fun) you’ll find episodes of some of their favourite characters, including Peppa Pig and Topsy & Tim, having an eye examination which may help build their excitement ahead of their visit. Showing sensitivity to light or the glare from a screen. Examinations for children in full-time education are free-of-charge. For further information please visit www.cameronoptom.com/children.